There was a change to the law (not sure if it was just my state) that liens and judgements could not be reported. Once that was gone I jumped 75 points. Started a letter-writing campaign trying to clear up any derogatories. No success this month. Continued letter-writing campaign. No success. Continued the letter-writing campaign. No success. Gave up on the campaigning. Clearly wasn't going to work. Opened a secured Discover IT card with a $200 deposit. Used my Discover card for a couple small purchases and paid the balance in full before the statement date. Added another $200 to my Discover deposit for a total available credit of $400. Used my Discover card for a couple small purchases and paid the balance (except for $20 - 5%UTI) before the statement date. Wanted to see what carrying a small balance would do to next month's score. Was preapproved for a Comenity card at Ulta while shopping online. Went through with it because I thought it would be a soft pull, but but it is reporting as a hard pull on one of the bureaus. 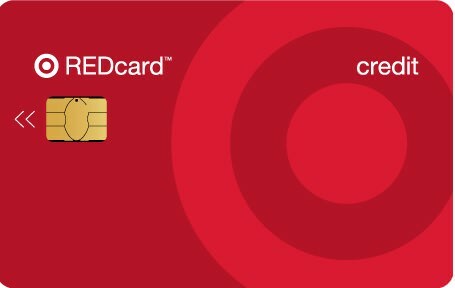 Because I got that second card I'm not sure what the effect of leaving 5% UTI on my Discover card made because I am assuming opening the new card dinged me a little bit. Did a PFD with one of my collections accounts (leaving one more on my report). He said it should be gone by the end of June. Wrote a GW letter to my mortgage company requesting leniency on my late reporting. There is one old collections that I paid off a long time ago lingering on my EQ. It's not showing on my TU, and I'm not sure about EX. 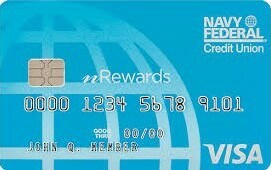 There is an old Credit One with a zero balance showing as "charged off"
This is the card that I paid off in the lawsuit. I sent them a GW email on Friday. They responded that day saying they will get back to me in 3-5 business days. I've read a lot of success stories with Credit One as long as it has been paid, so I am feeling optimistic about this one. I have one 30-day late on an old car payment that was otherwise perfect. This should age off in January 2019 so I have no plans to do anything with this one. There is an old Applied Bank credit card still showing an outstanding balance that is marked as "charged off." I've read that if you are willing to pay they will delete sometimes, so I may try that soon. AZEO for the two cards I have. I know you should have three cards when doing this but I am putting off getting a third card for now. Increase my Secured Discover limit a little each month. 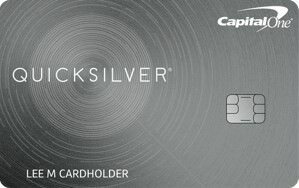 My seventh statement will be in August (I believe), so maybe I will graduate to an unsecured card by then, but I've read Discover can be fickle so I'm not going to hold my breath. Keep working on these derogatories, one or two at a time. I have a few balls in the air right now. your needs in a manner more consistent with your expectations and our high standards. Credit One Bank received your communication dated June 8, 2018.
balance of $*********. The ownership of the account was transferred to the agency referenced below. reporting agencies updating their records, please provide a copy of this letter. If you have any questions or concerns regarding this matter, please contact our office at *********, Monday through Friday, between 6:30 a.m. and 3:00 p.m. (Pacific Time). Got a letter today from my mortgage company, denying my GW request. *Mtg Company* is required to provide accurate information to the credit bureaus to which we report (Equifax, Experian, and TransUnion). The reporting is based solely upon the dates payments are received; which is in accordance with the Fair Credit Reporting Act (FCRA). Thus, any inaccurate reporting would be a violation of the FCRA. *My Name*, although we sympathize with your situation, we are required to comply with these applicable laws and regulations. Therefore, we must respectively deny the request to remove negative credit reporting as a goodwill gesture. Bummer. My question for any credit gurus out there: I heard that if your GW is denied on these grounds, you can ask again stating that the FCRA only requires accurate reporting, and I can ask if they will just post "no information" for the late periods (I have two periods already showing "no information" from the period of my modification/retention. Should I just give up? Try calling? I was on a high yesterday after getting that news from Credit One, then this brought me crashing back down to Earth. You can always keep trying. Some people have had success with goodwill letters by sending them to multiple people at the company and sending letters repeatedly (change your letter a bit, don't send them the same exact copy that you sent last time). Search on these forums for advice/techniques about goodwill letters. That's what I did. You're starting ahead of me currently, and wayyy ahead of where I was when I got my secured Discover (I was 552 at that point). I am thrilled with my experience with Discover, so my personal opinion is to go for it.